They may have been bundled out of the Copa America in Chile but Brazilian striker Roberto Firmino must have left Santiago a rejuvenated person. The Hoffenheim striker was willing to impress and successfully did so, with his eye-catching performances attracting attention from all over Europe, mostly England. Manchester United’s manager Louis van Gaal was reportedly the first to be keenly following Firmino’s progress, but it was Brendan Rodgers who had the last laugh. The Red Devils faithful had already set foot in a world of utopia, relishing a dream union of the Brazilian prodigy with the already acquired Dutchman Memphis Depay but their nemesis had a well-calculated work plan. On the 24th of June at around eight in the morning, Liverpool confirmed through their twitter account that they had captured their sixth summer signing Roberto Firmino. It was a shocking turn of events as Manchester United had been touted as the firm favourites to land the player rather than their arch-rivals. The tweet further went on to confirm that Firmino will have his medical done soon after he is through with his international duty in Chile. He was named in Brazil’s Copa America squad after missing out on last year’s world Cup campaign at home. By then, the world cup betting odds would barely have been influenced by his performance, indicating Luiz Felipe Scolari’s decision to omit his name. Having already netted a crucial goal in their opening Copa America fixture, a pedestrian performance against Colombia was not hindrance enough to change the thoughts and desire of signing him. It was a thirst he was determined to quench, especially having in mind the looming departure of contract rebel Raheem Sterling. The youngster missed a sitter that could probably have seen Brazil avoid Peru in the quarter-finals. As fate would have it, Brazil were humiliated for the better part of the game and sent home by the game’s perceived underdogs. Save for Brazil, it is his league performances for German club Hoffenheim in recent seasons that primarily informed Liverpool’s decision to land the 23-year-old. Just as it is a great honour to have him as Liverpool’s second most expensive player, so will be the burden he is expected to carry. The Kop will be eagerly waiting for the 29 million pound signing to outdo the previous exploits of Raheem Sterling. His Bundesliga statistics in the last two seasons have been nothing short of sensational. Only Robert Lewandowski and Thomas Muller surpass his record of direct involvement in goals in the last two seasons. A good dribbler with an eye for a final ball, Liverpool will once again see goals flow freely at Anfield. This will especially materialize if they reinforce their attack as well as manage to keep Daniel Sturridge fit for the better part of the campaign. The Figueirense trainee recorded a total tally of ten assists last season. Liverpool though will be hoping that their second most all time expensive signing will make rather more of an impression than their most expensive signing Andy Carroll. 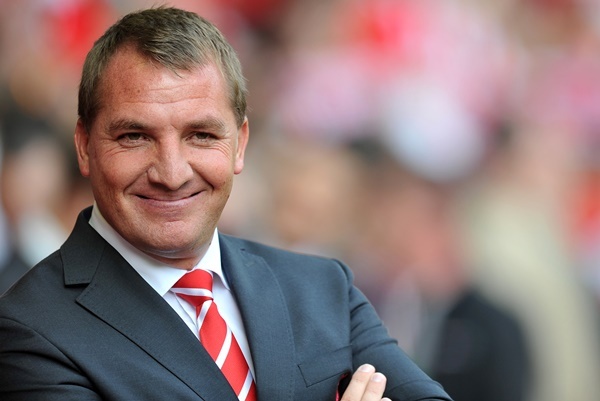 Brendan’s cog now seems only a few teeth that could see Liverpool on a campaign to reclaim former glory. Firmino’s ability to play wide as well as through the middle will provide the manager with more options. Having been jettisoned from last year’s world cup squad in his home country, Firmino will be hungry to use this platform to showcase his talent. Perhaps one day, Brazil’s world cup betting enthusiasts will relish his ability to propel his country to the heights it has for so long been known. It is everyone’s hope that Firmino’s ineffective display will not be extended to his stay at Anfield. The dreams shattered by Peru in Concepcion, Chile will live long in the memory unless others are realised in his newfound home. This article was written by Tony Samboras who is a sports writer that loves soccer. When he is not writing about the latest rumours and transfers in the EPL he enjoys writing about the next big tournament such as the 2015 Copa America. Well he should be able to outdo the exploits of Sterling easily considering the pathetic turn-outs of the latter during this year.